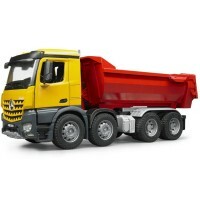 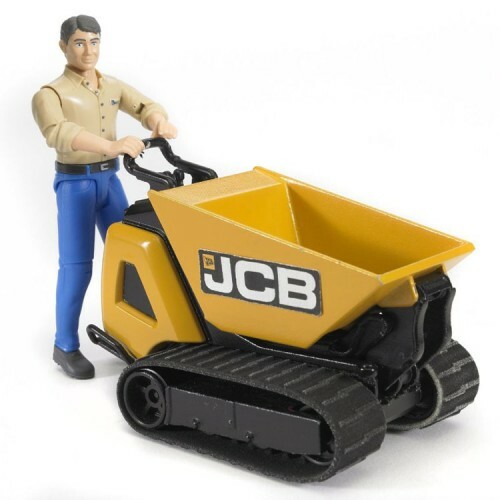 Bworld Construction JCB Dumpster with Construction Worker brings modern equipment and its skillful operator will complete your child's play construction site. 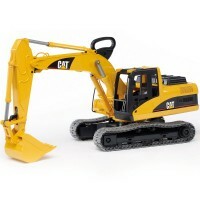 Put on your imaginary hard hat - it's building time! 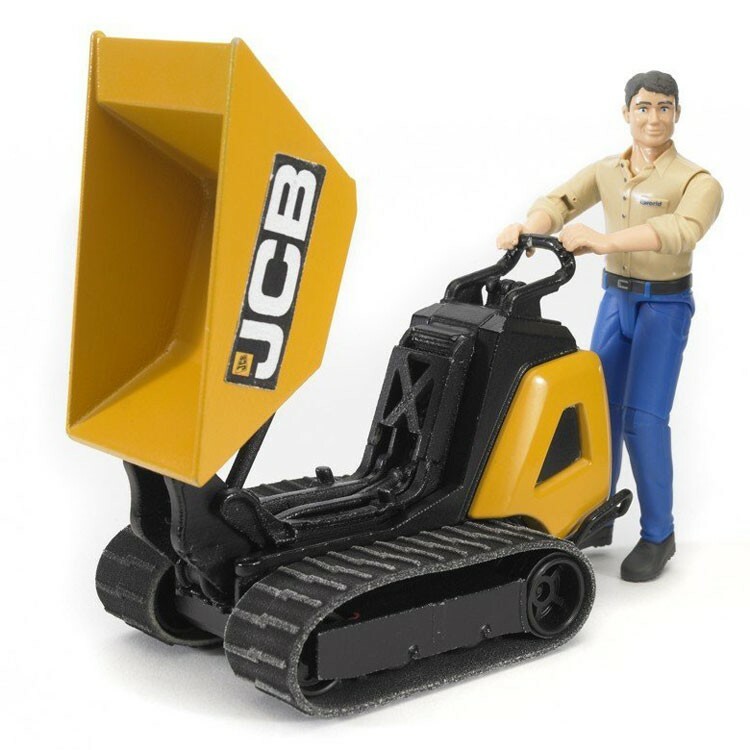 Bruder Construction JCB Dumpster and Construction Worker Set is the perfect toy for all fans of trucks, construction and machinery. 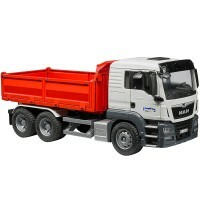 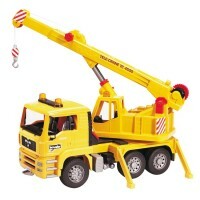 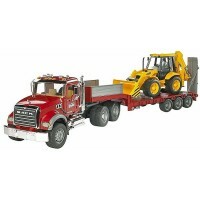 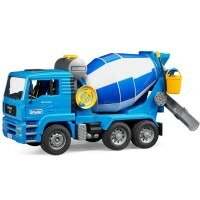 This Bruder playset is a great modern equipment addition to any boy's play construction site. 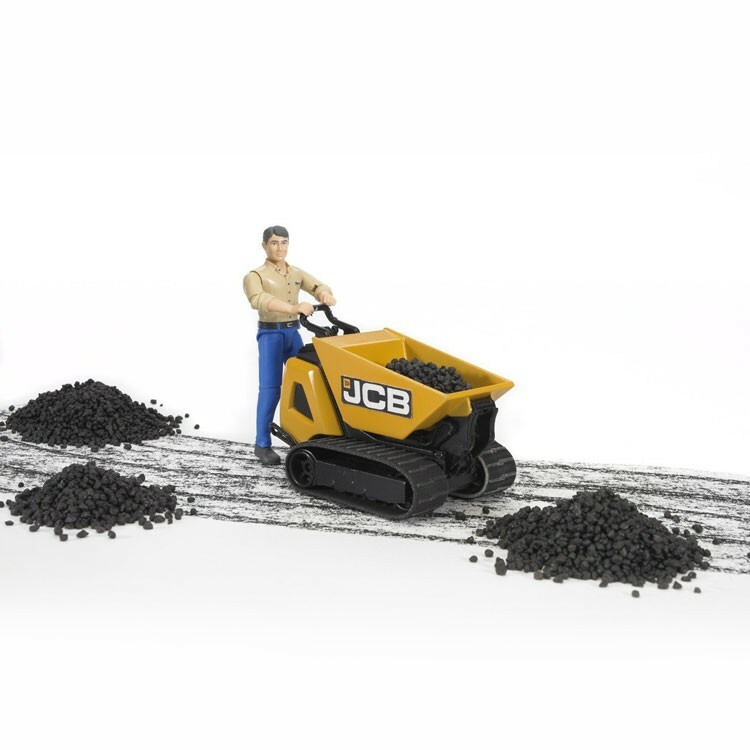 This BWorld series set includes 2 pieces: a skillful construction worker figure and a miniature JCB Dumpster HTD-5 that lifts construction dirt, sand, or pretend building materials. 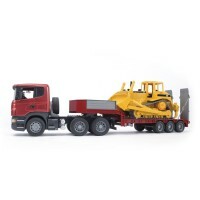 The construction machine features crawler tracks for better locomotion, and a tippable trough also allows the load to be completely unloaded onto wheelbarrow, trailer, or new building by using the lifting mechanism to raise the height of the trough. 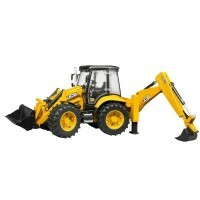 The track undercarriage allows driving and unloading on any terrain, indoors or outside. 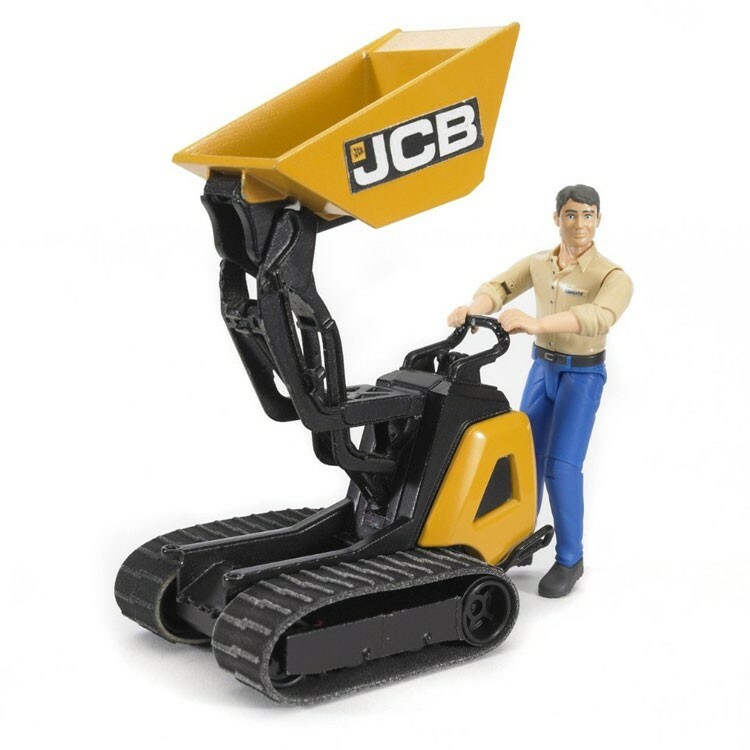 The builder figurine has bendable arms and legs, moveable body and special stability foot base to operate the JCB dumpster efficiently. 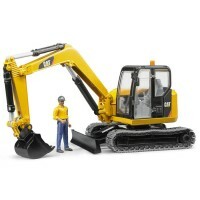 Bruder Construction JCB Dumpster and Construction Worker Set from Educational Toys Planet will complete your play construction machinery park. 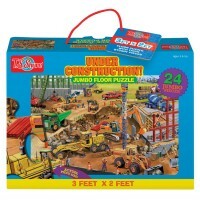 Dimensions of package 2.48" x 4.13" x 3.03"
Write your own review of Bruder Construction JCB Dumpster and Construction Worker Set.